Congratulations to Professor Douglas Arner who has been appointed to the Kerry Holdings Endowed Professorship in Law at the University of Hong Kong. 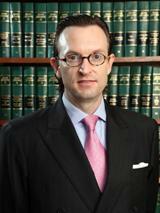 Professor Arner is an internationally recognised scholar in economic and financial law, regulation and development. His recent scholarship on FinTech and RegTech has gained international attention in both academic and non-academic communities. He is one of the top scholars in the SSRN Top 3000 Law Authors (ranked #13 in March 2017). He has coordinated the HK$15.4 million Theme-based Research Scheme project on "Enhancing Hong Kong's Future as a Leading Financial Centre" since 2012/2013. His recent speech at the London School of Economics' China Development Forum (11 Feb 2017) was reported on in the Financial Times (Chinese Edition) where Professor Arner pointed out that China's shadow banking system is the third largest and second fastest growing in the world. Professor Arner has been a visiting professor at several leading law schools around the world including Duke Law School, Melbourne Law School, McGill Law School and the National University of Singapore Faculty of Law. The Kerry Holdings Professorship in Law was established in 2007, and the first holder was Professor Michael Tilbury. In establishing the professorship, the donor, Kerry Holdings Limited, stated "It is our shared vision that this Endowed Professorship will enrich the resources available at the Faculty of Law and help uphold its high standards of scholarship, research and education."